Block Gothic Condensed is a sans serif font family exclusively licensed from the Techni-Process(TP) Collection. 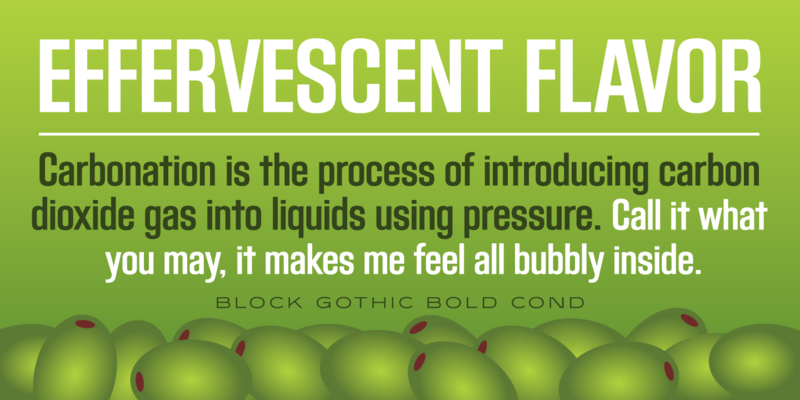 Steve Jackaman (ITF) redrew and produced the family in 1996. 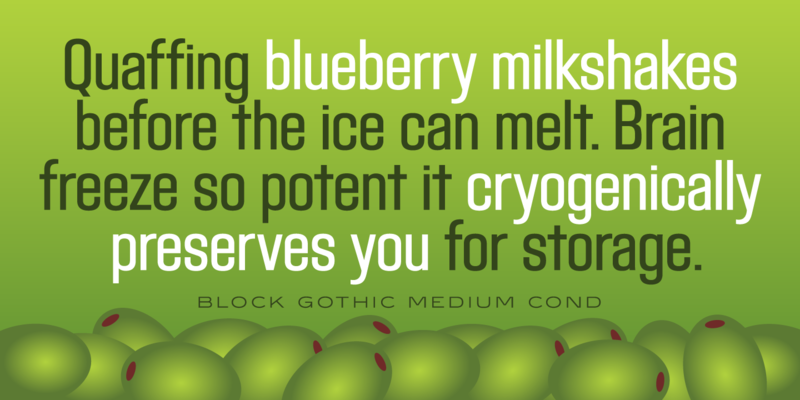 Block Gothic Condensed has a fashionable modern feel, and is quite sturdy in its heavier weights. 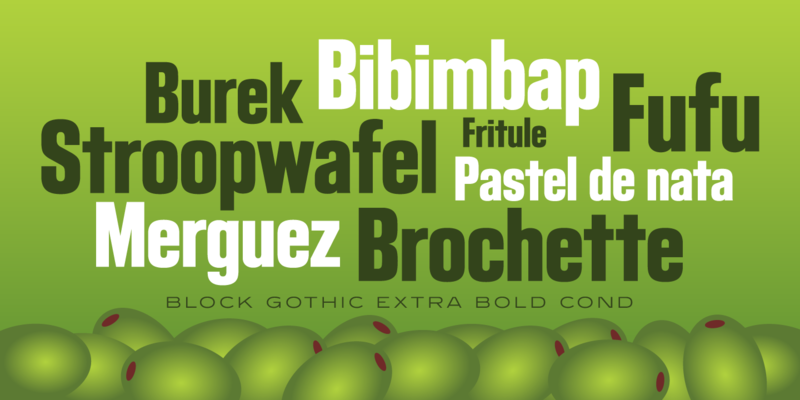 The family clean and legible in all sizes, and adds a unique beauty to projects. 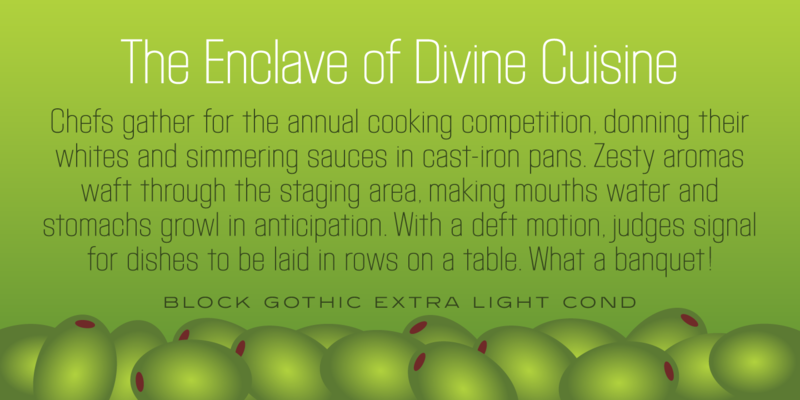 Its sister family, Block Gothic Extra Condensed, is a great alternative for those looking to use Block Gothic in projects where space is limited. 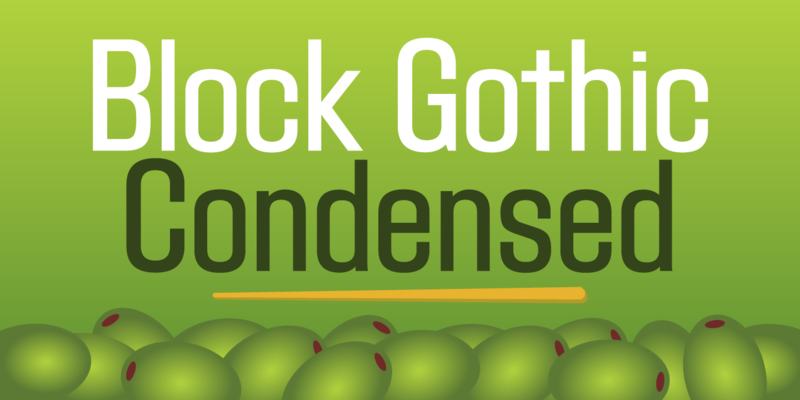 Block Gothic Condensed is a trademark of International TypeFounders, Inc.